Have you noticed a change in Red Cross services in your community? Are disaster victims’ needs being met? If you have any information regarding this issue or a response to those questions, you can help us in several ways. When a wildfire swept through three Northern California counties in September, the Red Cross showed up but provided shelter to just 25 of 1,000 victims at one site. Because of the charity’s strict rules and disorganization, many evacuees slept outside for over a week, even when the weather turned bad. “These families were sleeping in the rain with their children,” said Wendy Lopez, a local volunteer. Local officials were so angry they relieved the Red Cross of its duties. The Red Cross had closed chapters in the area last year. “You’re seeing a huge loss of experienced staff,” said John Saguto, a 15-year Red Cross volunteer in Northern California. 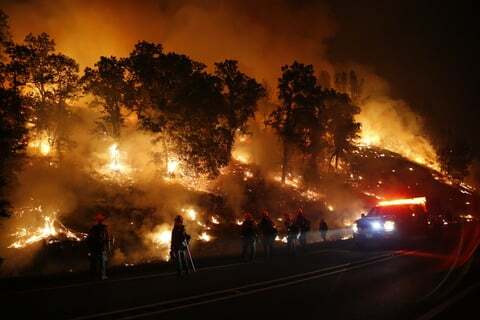 Some emergency planners around the country have concluded they can no longer rely on the charity. “I essentially wrote Red Cross out of my Local Emergency Operations Plan and advised many other Emergency Managers across the state to do the same,” wrote Tim Hofbauer, an emergency management director in Nebraska, in a 2013 email to a Red Cross executive. This year, the Red Cross quietly made cuts in the formula it uses to determine cash benefits to victims of home fires and other disasters. A family of four whose home burned down previously could have received around $900 in immediate assistance. Now they would get a maximum of $500. 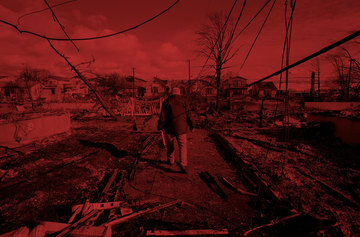 Over the past two years, ProPublica and NPR have examined the charity’s flawed responses to major disasters, including the 2010 earthquake in Haiti and Superstorm Sandy in 2012. A broader look at McGovern’s seven years as chief executive shows her team has repeatedly fallen short of its own goals to secure the organization’s financial future and improve its delivery of disaster services. McGovern declared in August 2013 — her fifth anniversary on the job — that she had executed a “turnaround” that made the Red Cross a “financially stable’’ organization with balanced budgets in three of the previous four years. Behind the scenes, however, losses were mounting. The organization ran a $70 million deficit that same fiscal year and has been in the red ever since. Internal projections say the charity will not break even before 2017. Her team unveiled a five-year blueprint in 2011 that called for expanding the charity’s revenue from $3 billion to $4 billion. In fact, Red Cross receipts have dropped since then and fell below their 2011 level last year. McGovern declined to be interviewed for this story. Our account is drawn from interviews with present and former Red Cross staffers and volunteers, local disaster relief officials, and hundreds of pages of internal documents. The Red Cross defended McGovern’s track record in a statement, saying she took over an antiquated organization that allowed each local chapter to create its own system for personnel, technology, and bookkeeping. The layoffs and shuttering of local chapters, the statement said, was painful but essential for an organization that was both inefficient and financially unsustainable. The charity also said the cuts haven’t affected its ability to provide aid. “Our focus has always been to cut the costs of delivering our services — not the services themselves — and we believe we have achieved that.” It said there has been a small increase over the last three years in overall payments to disaster victims, though data does not exist going back to the start of McGovern’s tenure. Of the cuts in the formula for cash benefits, it said that preliminary data under the new system shows that victims are still getting the same level of assistance as in the past. Still, the unit, which is the Red Cross’ largest division, is an increasing drag on the charity’s bottom line, in part because changes in medicine have sharply reduced the demand for blood. In its statement, the Red Cross pointed to those changes as the reason for the charity’s recent deficits. But Red Cross insiders said the blood division has also been hurt because the charity bungled a software project and moved too slowly to respond to an evolving industry. Internal estimates obtained by ProPublica show that the blood business lost $100 million in the last fiscal year, a devastating drain on the charity’s finances. Another key source of revenue, the sale of CPR classes and other training, has similarly struggled under McGovern. A plan to vastly increase the revenues of the division backfired as customers switched to less expensive providers. Despite the failure of the plan, the former AT&T executive who McGovern brought in to run the division and other top managers were awarded bonuses last year, one former official recalled. 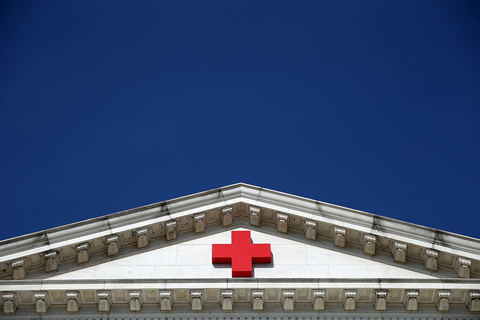 Employee morale has been damaged by the repeated layoffs — or “right sizing,” as McGovern calls it — as well as by the perception that the Red Cross is increasingly focused on image over substance. McGovern’s career began far from the world of nonprofits, as a computer programmer at the Bell Telephone Company of Pennsylvania. She grew up in suburban New Jersey and enrolled in Johns Hopkins University in 1970, a member of the first class to include women. “I was a quantitative sciences major and I was always one of the only women in my classes. It definitely prepared me for life,” she later told the Washington Post. McGovern climbed steadily through the ranks at AT&T. By the mid-1990s, she was head of the company’s consumer markets division, where she used strategies like giving away free long-distance minutes to reward customers for sticking with the company. A trailblazing female executive, she was twice named one of Fortune’s 50 most powerful women in corporate America. McGovern left AT&T in 1998, then spent four years at Fidelity Investments, where she was promoted to be the head of the retail mutual fund and brokerage business. Then came six years as a marketing professor at Harvard Business School, where she produced case studies on how companies like Kinkos sold their services and how Hasbro promoted its G.I. Joe brand. 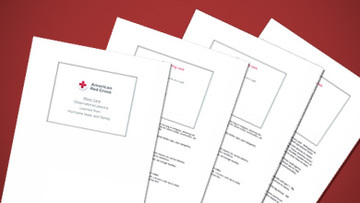 While McGovern was training the next generation of business leaders at Harvard, the Red Cross was providing its own case study of an institution in crisis. Between 2001 and 2008, the organization went through six interim or permanent leaders, several of whom departed amid allegations of mismanagement and misuse of donated funds. 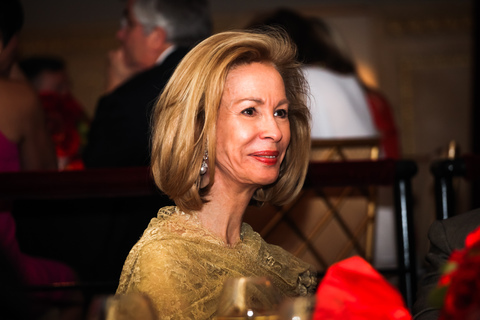 In 2007, the Red Cross board, led by Bonnie McElveen-Hunter — a wealthy Republican donor appointed by President George W. Bush in 2004 — recruited Bush administration official Mark Everson as the CEO who would bring stability to the organization. Six months later, the board forced Everson out after the affair with his subordinate, touching off yet another round of embarrassing headlines. 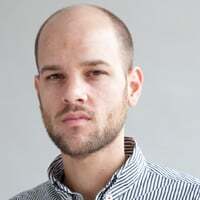 McGovern, selected after a global search by a headhunting firm, was seen as a candidate who would bring private-sector methods to the nonprofit. “Isn’t it great that we have someone that really has had that business expertise in developing and working with a brand and recognizing the power of it?” McElveen-Hunter told the Washington Post at the time. At the Red Cross, colleagues say, McGovern’s leadership style has been characterized by both a hands-on mastery of details and a commitment to the charity’s mission, even in the face of personal challenges. She is a two-time cancer survivor and in the aftermath of the 2010 earthquake, traveled to Port-Au-Prince, Haiti, just days after learning that her breast cancer had returned. The organization McGovern inherited had serious financial problems. It had been forced to borrow money to meet its payroll and, by 2008, the Red Cross was losing about $20 million a month, according to a former official. 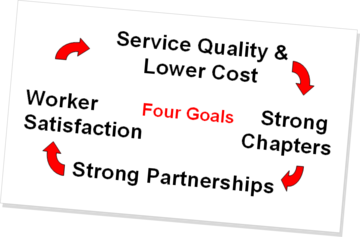 The red ink reflected some longstanding weaknesses in the Red Cross’ structure. The charity raises about $500 million annually with gifts that range from $10 sent by text message to multimillion-dollar donations from blue chip companies like Walmart and General Electric. Donations balloon in years with major disasters like the Haiti earthquake, but the money typically comes with a catch: Most of it is earmarked only for the headline-making disaster. This leaves the organization scrambling each year to fund the little-publicized bulk of its mission — aiding ordinary Americans afflicted by everything from house fires to floods to more routine storms. Soon after she joined the Red Cross, McGovern recruited executives who had worked with her at AT&T and Fidelity to address the weaknesses. 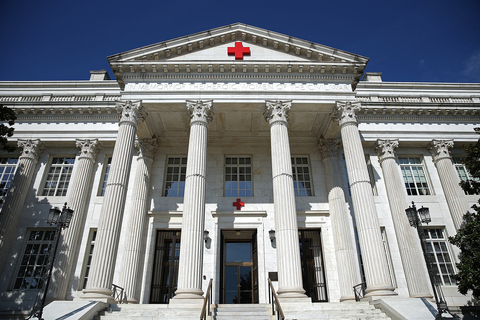 Working out of the Red Cross’ headquarters on the National Mall, nicknamed the Marble Palace, they drew up plans for what amounted to a corporate turnaround that would touch every aspect of the charity’s finances and operations. Some of the changes were long overdue. She also got to work cutting costs: there was a round of layoffs; she killed the charity’s generous pension program and suspended matching contributions to employees’ retirement accounts. On the revenue side, she successfully lobbied Congress for a one-time, $100 million appropriation to close the budget deficit. In February 2011, McGovern and her executive team gathered Red Cross leaders from around the country to a meeting at Nashville’s Gaylord Convention Center. There, they outlined a five-year plan aimed at securing the charity’s financial future. The plan, laid out in brightly colored PowerPoint slides, envisioned across-the-board improvements in performance. 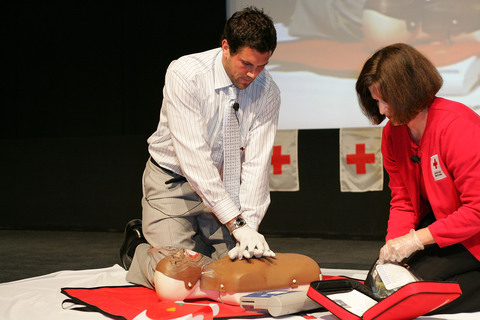 It projected a billion-dollar jump in revenue, powered by expanded fundraising and growing profits from fees paid for CPR classes, swimming lessons and training materials. Another former colleague of McGovern’s from her AT&T days, Jack McMaster, gave “one of the great rah-rah speeches of all time” in Nashville, as one official in attendance recalled. Hired by McGovern to supercharge the Red Cross’ CPR and training business, McMaster unveiled a plan to grow the unit from a $150 million-a-year business to a juggernaut with annual revenue of nearly $700 million. McMaster had a history of bold predictions. After leaving AT&T, he took a job in 1999 as CEO of a Dutch telecom company called KPNQwest. In just a few years, he had run it into what Reuters called a “spectacular collapse,” prompting a bankruptcy, a storm of lawsuits, and comparisons to Enron. Just months before the company went under, McMaster publicly boasted that it was poised for dramatic growth. Despite the blowup, McGovern hired him several years later, praising McMaster to Red Cross staff as a master marketer and a trusted former colleague. Rather than revenue increasing over 350 percent, as the plan imagined, it has actually fallen since McGovern became CEO. “A halfway competent market analysis would have told you that the bulk of our business was in selling to small businesses who viewed us as a business expense,” recalled one former chapter executive director. “When the massive price increases arrived, it was too much and customers bailed.” Many of those who taught classes — including volunteers who did the work for free — quit after being turned off by headquarters’ poor communication and insistence on centralized control. “The compensation plan is tied to the achievement of those goals,” it said. The statement further said the division’s decline in revenue was due in large measure to the decision to introduce “free digital downloads of all course materials, which greatly increased distribution of health and safety materials but depressed revenues from book sales.” It also provided figures showing that, while the division is still losing money, the size of the loss fell significantly in fiscal 2015. A key driver of the Red Cross’ current financial problems is its struggling blood operation, present and former officials said. The drop in demand for blood in the past several years has strained the entire industry, in which the Red Cross is the biggest player. But the charity’s share of the market has also shrunk over the course of McGovern’s tenure. Exact numbers aren’t public, but the Red Cross’ annual reports show a decline since McGovern took over. The problems were partly due to the Red Cross’ failure to quickly adopt the industry’s updated labeling of blood products. McGovern acknowledged the issue in a town hall meeting for employees in 2012. “It’s very hard for us to win market share even on a price basis when you don’t have the industry standard for scannings,” McGovern said, according to audio obtained by ProPublica. Her team also struggled to manage the switch to a new software and hardware system called BioArch. That project began before McGovern arrived but its most important component — the transition to standard labeling — was not completed until five years into McGovern’s tenure. Even after an effort to cut costs in recent years, an internal Red Cross projection warns that losses from the blood business could reach $300 million annually by 2020 if the charity doesn’t reduce expenses further. Fundraising is another reason the Red Cross is falling short of its financial targets. The Red Cross said in a statement that donations were up 14 percent outside of major disasters, but it declined to provide details for that figure, including over what period the increase occurred. And in a new edition of the Chronicle of Philanthropy’s annual ranking of which charities raise the most dollars, the Red Cross fell to 21st place — its lowest position since the survey began in 1991. The Red Cross explained the drop by saying, again, that fundraising had suffered without a major disaster like Superstorm Sandy. It’s difficult to quantify the effects of these cuts, and in some areas services have not been affected. But interviews with dozens of Red Cross staffers and emergency management officials around the country document a pullback from many towns and cities, particularly in rural areas. When Rick Tuggle, the chairman of the board of directors of the Red Cross’ Nebraska Panhandle chapter, got word in 2011 that the chapter would be shuttered, he felt betrayed. An executive at a small bank in Scottsbluff, Tuggle had spent years building up the chapter, recruiting donors and volunteers who responded to home fires in a 44,000-square-mile area in the west of the state. Tuggle and the rest of the local board fought the decision, questioning why their financially self-sufficient chapter was being closed. The chapter’s full-time executive director was told a visit from a regional executive was a performance review, only to be laid off and escorted out of the office in tears, according to Tuggle. The United Way of Western Nebraska pulled funding, fearing that its money would no longer be used locally. The nearest chapter is now four hours away, in Grand Island. A Baptist church is helping families displaced by home fires, filling a gap left by the Red Cross cuts, said Tim Newman, the emergency management director in Scottsbluff. Residents, not Red Cross workers, were doing the necessary work of supplying tents, food, and other basic needs. After fielding complaints from donors, the city of Calistoga set up its own relief fund so people had an alternative to the Red Cross. “Today, the Red Cross continues to work with local Long-Term Recovery Groups in Lake and Calaveras Counties to develop and execute long-term plans to help victims of the wildfires recover,” the statement said. Linda Davis, CEO of the Center of Volunteer and Nonprofit Leadership, recalled driving to the Napa fairgrounds every day, seeing signs along the highway asking for donations to the Red Cross. On Wells Fargo ATMs, there was an option to donate to the Red Cross. McGovern has spoken often of her goal to make the charity “the best place in the country to volunteer” — all the more important because her team wants to sustain services levels by replacing paid employees with more volunteer labor. An internal assessment previously reported by ProPublica and NPR said national headquarters’ focus on image slowed the delivery of relief aid during Hurricane Isaac and Superstorm Sandy. Officials engaged in “diverting assets for public relation purposes,” according to the assessment. 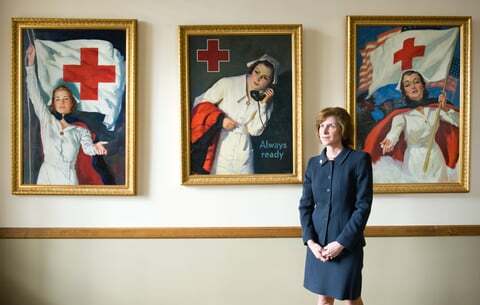 When McGovern was hired in 2008, the Red Cross had just done a round of layoffs and she expressed hope it would be the last. But as cuts kept coming, staffers were repeatedly told to do more with less. The discontent was often intensely personal. A graphic from a 2010 internal memo exhorting Red Cross staff to do more with less. That and other critical posts later disappeared from the Facebook page. Moderator Ryan Kaltenbaugh reminded participants that the group was intended to be “a POSITIVE forum sharing ideas, stories, pictures, links, videos and more across our great country. “[P]lease (please) refrain from posting your negative personal views,” he continued. In a recent letter to ProPublica, McElveen-Hunter praised McGovern’s “extraordinary leadership” in taking over a troubled organization. “Over the last seven years, Gail — a recognized business leader with proven success running large organizations — has worked tirelessly to develop and direct the plan of action that has reduced expenses, strengthened service delivery and brought the Red Cross into the 21st century so we can reach more people and continue to fulfill our mission for decades to come,” McElveen-Hunter wrote. If you have information about the Red Cross — or any other tips — please email [email protected]. Additional reporting by Nina Martin, Derek Kravitz, and Andrea Hilbert. Production by Emily Martinez.